IMPORTANT: Upload to Steam workshop is not allowed! Only CUP will be in the future when ready. For details read this post. Added: Make streetlamps emit light again at night time. Added: Update surface definitions with new A3 parameters (particle effects and more). Added: Update penetration definitions to A3 standard. Added: Make vehicles and infantry to raise dust from movement for specific surfaces. Added: Add wildlife to terrains. Fixed: Make walls fall over correctly again. Added: More organic landscape textures for Chernarus. Added: Preview images in terrain selection for the remaining BI terrains. Changed: Reverted clutter distance back to 50 meters as default setting (BI terrains remain at 125 meters). Changed: Update North Sahrani grass to the Arma 1 1.09 version. Changed: Alphabetic ordering in terrain selection. Fixed: Reverted problematic Satellite texture tweaks. Fixed: Inheritance of DC3 plane. Adjusted: Penetration materials and fire geometeries on most models. Changed: Plastic lamps are now proper functioning A3 Lamps. Fixed: Windows in Ind_Vysypka are now transparent, and can be shot through. Fixed: Can no longer shoot through one of the exterior walls in Ind_Vysypka (missing fire geometery). [*] Added: Improve road signs. Updated: Road signs now use higher detailed A3 road sign models. Updated: Road signs now have higher quality textures. [*] Added: Terrain selection images for remaining A1 worlds. [*] Added: Falling tree sound from OFP. [*] Added: Missing files for community made terrains. [*] Added: Definitions for A1 sounds and music. [*] Changed: Adjust brightness of general terrain and Chernarus lighting based on feedback. [*] Changed: Chernarus midDetailTexture to the default A3 one [experimental]. [*] Changed: Reduce flareSizeEyeSun by 50%. [*] Changed: Update inheritance for A3 infantry classes. [*] Changed: Revert the clutter/grass distance for A1 back to their old values. [*] Changed: Disable CfgMods definitions. [*] Fixed: All ponds from A2+OA+DLCs removed (again - by mistake a few slipped back in). Might make a few more community made terrains playable without pondline bug! [*] Fixed: Unit randomly crouches. [*] Fixed: Takistan pumpjacks have no sound. [*] Fixed: [AiA TP] Empty groups are visible in the editor. [*] Fixed: United Sahrani has the wrong imagine the in terrain selection. [*] Fixed: Updating base class spam in the top of the rpt. [*] Fixed: ACRE(1) is causing a small box in the upper left while playing. Added: Replace A1 buildings with improved SMD variants. Added: A3 style grass in Chernarus. 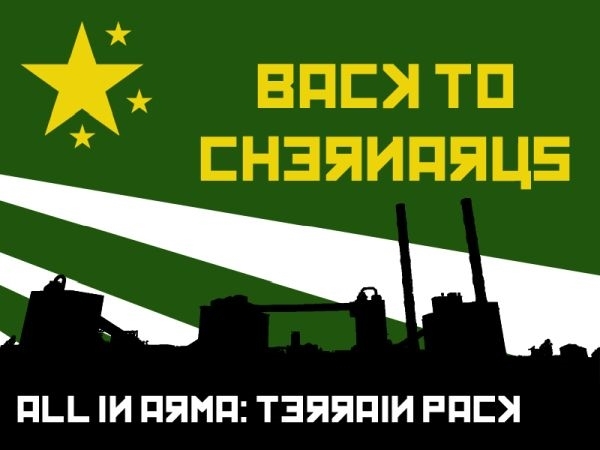 Added: Chernarus summer version (WIP). Added: Customized terrain lighting for desert type terrains. Added: Make more community made terrains support custom lighting. Added: Glow Materials to lamps and hide animation upon destruction of bulb. Added: Hitpoints and Direction vertices to lamps. Updated: Sidl type lamps and concrete power line lamp are now based on A3 lamps. Added: Lighthouse now emits light. Added: Lighthouse has a visible flare. Changed: Decreased rotation speed of lighthouse (was: 51deg/s~ | now: 18deg/s). Changed: Lighthouse light would only work at certain periods, is now on for the entire duration of the spin. Updated: Fire geometry was adjusted (materials and LOD). Fixed: Red strobe light on top of lighthouse now emits light properly. Added: Animation and glow material for the blinking yellow light. Fixed: Blinking yellow light is now visible again (increased intensity). [*] Added: A3 lighting to LHD. [*] Added: Set MapSize value for BI and community made terrains. [*] Changed: Improved AiA TP compatibility with IFA3SA (make sure to load AiA TP first!). [*] Changed: Revert Chernarus midDetailTexture back to the default A2 one. 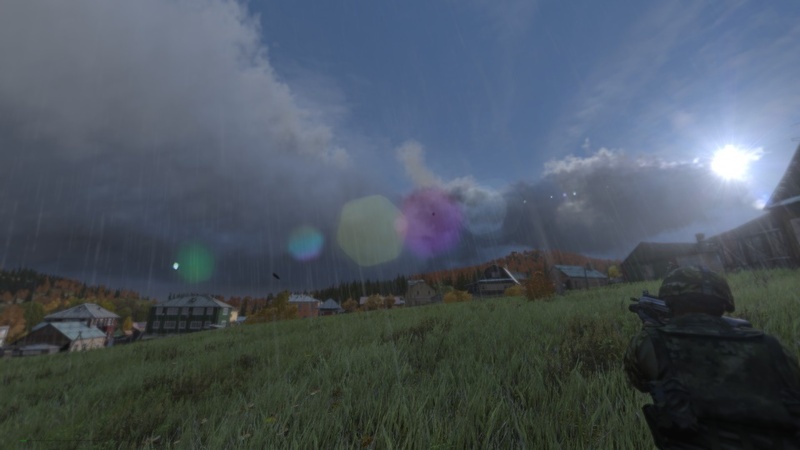 [*] Changed: Change surface water color back to default again and leave custom only for Chernarus. Updated: Replaced similar models with models from the updated Signs2.pbo. Updated: New textures for Sign_Downhill, Sign_Uphill and Sign_Main_End. [*] Changed: Disable main menu intros for custom terrains. [*] Changed: Disable infinite terrain in Aliabad, Esbekistan, Hazar Kot, Tarin Kot for the time being to stop crashes. [*] Changed: Replace door icon with the A3 one. [*] Changed: Remove terrain listed in an alphabetic order as it causes issues when terrains are not present. [*] Fixed: AiA crashes when loading another terrain. [*] Fixed: A1 appartment building is flying. [*] Fixed: A1 red and white bar gate is rotated 90Â°. Changed: Change underwater water color back to default again and leave custom only for Chernarus. Changed: Improved Zeus compatibility (cfgGroups and cfgFactionClasses). Changed: Replace door icon with the A3 one. Fixed: Aliabad and Esbekistan still have screwed up the sky textures. Fixed: disabled light reflectors n Land_Ind_Mlyn_02 as model seems to lack the definitions. Added: A3 style grass in ACR terrains. Changed: set author to BI terrains. Changed: Summer Chernarus has now its own map preview. Fixed: crash in Chernarus/terrain with A2 structures due to faulty texture. Fixed: A1 terrain crashes due to map grid definitions. 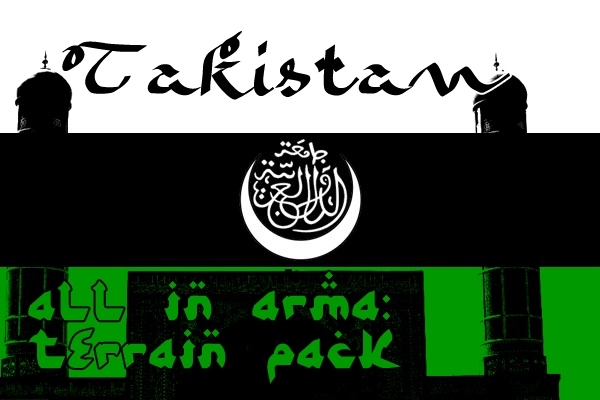 Fixed: EnvSounds for Takistan, Zargabad and Takistan (cut out). Click the link to the view the full changelog. The new version is a full update. Delete the old @AllInArmaTerrainPack[Lite] modfolder first. This is an incremental update for 2014-10-18. So extract the new data over the existing and overwrite it. As Play withSIX user the program will download the update and apply it automatically. This is an incremental update for 2015-01-01. Q: What are the improvements over A3MP? A: Please read the feature list above. In general it is considerably more advanced. Q: Do I still need AiA TP when I have AiA SA? A: No. AiA TP is part of AiA SA. Q: Does it need any other mods? / Do I need the older games installed to use this? Like with AiA? A: No - this mod is completely standalone. Q: Can I use missions from A3MP with AiA TP? A: Yes. No changes needed. More details: Both use the same class names; as such the terrain extensions and mission names are the same. Q: Can I use missions from A1/A2/OA with AiA TP? A: You need to replace all the old units/weapons/vehicles in the mission with A3 assets. As alternative get All in Arma Standalone (AiA SA) instead. Q: Where is the download from PWS? Why does PWS not have the most recent version? A: Please have some patience. It will be available sooner than later. Q: Why does download with SIX Updater not work? and shared collections. Otherwise contact the withSIX support. Q: The download from Mega does not work or the download gets corrupted. A: Please try a different browse in the most recent version like Chrome. If this doesn't help, please use one of the download alternatives. Q: The torrent is giving me low speed. A: Probably your Internet Service Provider (ISP) is slowing down peer-to-peer traffic. Get another ISP ;-) or use one of the download alternatives please. Q: Please use the service X/Y/Z to host the releases. A: I have tried various. However the sheer size and traffic left me only with these services. General advice: Report issues and see howTo first. Q: I am getting crashes - what to do? A: Please report them at the A3 feedback tracker. Read their HowTo on crashes first. Q: I am getting crashes when switching terrains. Please vote to get BI to fix it: http://feedback.arma3.com/view.php?id=20427. Q: For some terrains the satellite texture is bugged. A: Please vote to get BI to fix it: http://feedback.arma3.com/view.php?id=15629. Q: The community made terrain X/Y/Z still has the waterline bug. A: Please vote to get BI to fix it: http://feedback.arma3.com/view.php?id=15579. AiA TP removes the ponds by replacing them with dummy objects. However some community made terrains use custom pond objects in their own object packs/pbos. Q: Does the vegetation block the AI's vision? A: For A2+OA terrains it should for the most part; however some improvements may still be done. For A1 terrains it still needs to be added. Q: A1 objects have shadow bugs or other issues. A: Please wait for the full SMD Sharani integration. Q: Why is the infinite terrain disabled? Q: Why can't I use terrains from A1/A2/OA with AiA TP in PWS? A: Sickboy still needs to add a special flag in the program for AiA TP (lite) and release an update of Play withSIX for this to work. Q: Can I mix the standard and LITE version (client/server)? on the server if you use the signature system. Q: Can you make all file names lowercase for Linux servers? A: Please use the tolower command/tool instead. One way to get it is to download the A2/OA Linux server package. On the windows side LupasRename is a simple and efficient tool to mass lowercase files and folders. Q: Will the TKOH terrains be added to the pack? A: So far it is not allowed. BI has to release the sources for it. Q: Will the OFP terrains from BI make an appearance? A: Maybe as part of OFPIP at some point. Yet for high quality versions CWR2 (terrains) would need to be ported to A3. Q: Can terrain X/Y/Z made by a community author be added to the pack? A: Won't happen for many reasons (workload, permissions, size, etc). However you can also just download them yourself and load them along. here and there, the terrains made in A1/A2/OA should still work fine basically. Q: Why are there three different versions of Sahrani? A: The South and the United version only include the lower S/W part of Sahrani. the subtle differences and for performance reasons. The full version is not correctly hosted on Mega. This is more advanced, has less issues and is backed by the Community Upgrade Project. Impressive map pack, .kju! And same question :) What is main difference between A3MP and this? Goodbye A3MP, it was nice knowing you. Awesome, glad to see this come out! Thank you. Alduric provided us all a great stop-gap. But it's nice to finally see this released in proper form. Good work guys! Where is this vehicle pack from all in arma? this means that if i want one island ,example Bystrica, i m able to download only bystrica? Love to see high quality mods like this , thanks kju . 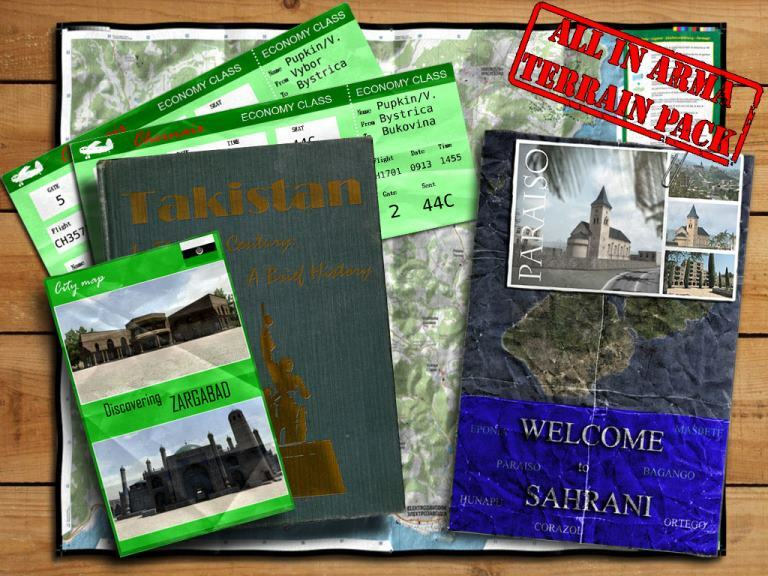 Though , wondering what takistan mountains is ? Great addon, fantastic work by everyone involved. I'm not seeing it on PwS. Am I just missing it? Excellent! This might be a good replacement for A3MP, as there seems to be alot of improvements integrated and even more coming. Also the lite pack is a perfect idea. I hope that server owners will support all versions, so everyone can have good performance. Is this coming to PWS soon?